1. 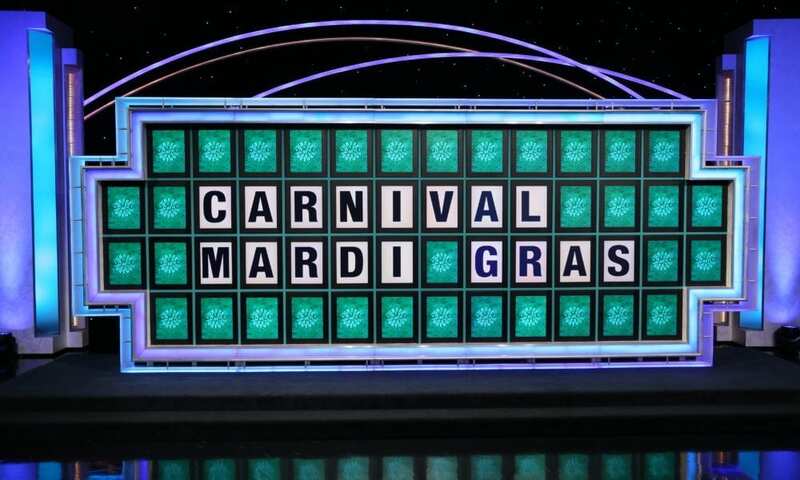 Carnival Cruise Line announced the name of its newest and biggest ship, Mardi Gras, on an episode of “Wheel Of Fortune.” The name is an homage to the first ship in the line’s fleet, the Mardi Gras from 1972. The new Mardi Gras, set to debut in 2020, will home-port at a new state-of-the-art terminal opening in Port Canaveral, Florida. Read more. 2. Royal Caribbean announced its plans to build a third terminal in Galveston after making a nearly $100 million investment in the port. With plans to be ready in 2021, the new terminal is being built to support the line’s Oasis-class ships, offering more diverse cruising options for the Texas market. Read more. 3. Carnival Cruise Line announced that Carnival Legend will be sailing some unique itineraries in 2020, including a return to the Mediterranean. The ship’s schedule includes a Panama canal cruise, a series of Mediterranean sailings, a unique 16-day cruise from London that includes a stop in the Norwegian Fjords, and two trans-Atlantic crossings. Read more. 4. Norwegian Cruise Line Holdings Ltd partnered with Alaska Native-owned Huna Totem Corporation to build a second cruise pier at Icy Strait Point in Hoonah, Alaska. Set to be ready in summer 2020, the pier is being built to accommodate Norwegian’s Breakaway-class ships. Read more. 5. Princess Cruises plans to expand its MedallionClass capabilities to a second ship soon, as Regal Princess will receive the digital upgrade in February. The technologies features include faster ship boarding, keyless stateroom entry, on-demand beverage ordering, and more. Read more. It takes about 30,000 lights, 6,000 feet of ribbon, and 250 hand-tied bows to decorate 20 Christmas trees – and that’s just on one ship! Find out how Carnival manages to spread the holiday cheer across its entire fleet in a matter of hours. The Christmas tree in the main atrium of Carnival Elation. Mike joins the show this week to give a full review of a five-night Western Caribbean cruise on Carnival Paradise from Tampa, Florida. Having sailed the ship before its recent refurbishment, Mike gives a full review on the updates made to the ship, including the accommodations, public spaces, dining, and more. Listen here. Meet the new Mardi Gras. As Carnival’s newest and largest-ever ship at 180,000 tons, Mardi Gras is a throwback to the cruise ship that started it all for Carnival Cruise Line back in 1972. Set to sail in 2020, Mardi Gras will home-port in Port Canaveral, Florida, as the first LNG-powered cruise ship in North America.